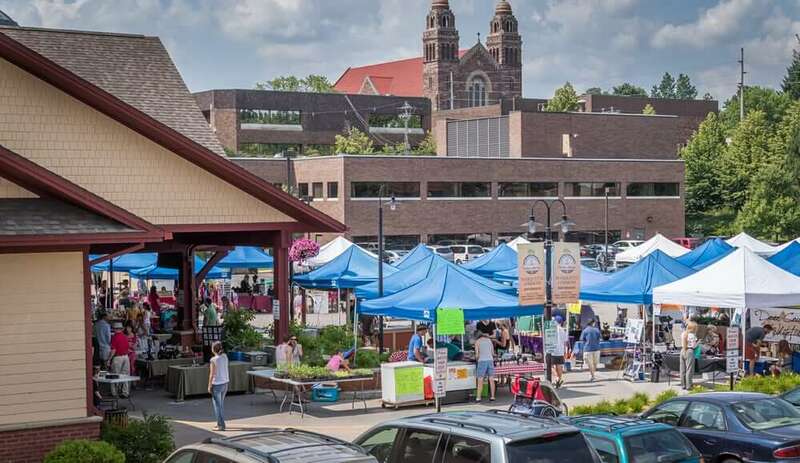 CHANGES UPCOMING AT Marquette’s renowned Farmers Market. First–and this won’t thrill most of the vendors–the season fee for a space at the summer market is more than doubling, from $165 to $360. That’s a pretty steep hike. Some vendors had been hoping and expecting the increase to be gradually implemented over the next 2-3 years. Bottom line: The DDA has been subsidizing the Farmers Market to the tune of $40,000 a year until now. This year, the subsidy will be cut to $13,000. Still not self-sustaining, but closer. The Market has been wildly popular, of course, with both the public and the vendors. Fifty-eight vendors last year, and Zyburt says she’s already received a handful of returned applications even though they just went out last week. The troubling question, of course, is whether some of the marginal vendors who are struggling to get by as it is, will be squeezed out. The good news? We’ll have a Wednesday Market for the first time this year. Five until seven in the the evenings every Wednesday from June 12th to September 25th. Something that’ll bring a little more life to downtown during the week. The facade grants will likely be awarded next month. HOW ABOUT THIS as a sign of confidence in the downtown? 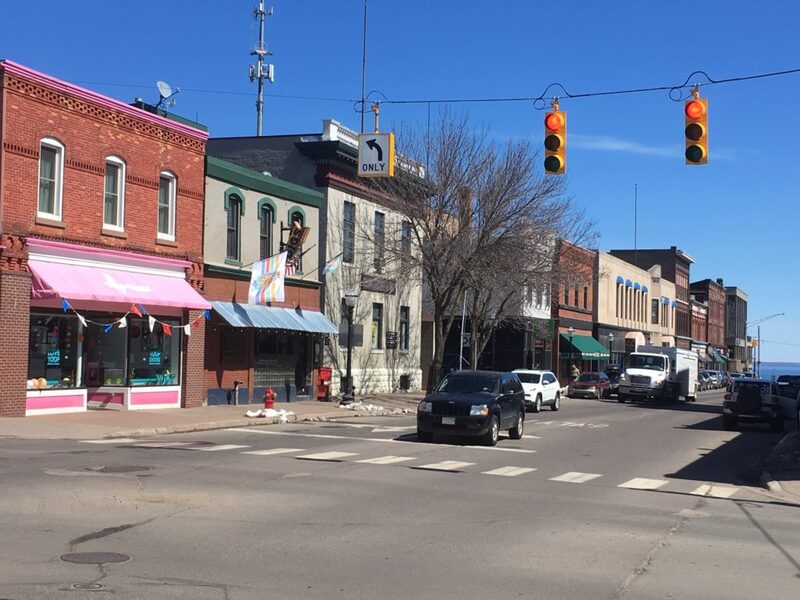 More than 25 merchants have applied for facade grants that the DDA will be awarding in the next month. So you say “Big deal! It’s free money!” Well, yes and no. Sure, the lucky merchants will be getting free grant money but they have to match it at least 50-50. That means they’ll have to invest in their business. That means they’ll have to have confidence in the future of Marquette. The DDA has a total of $330,000 to disburse–for outside walls, signs, windows, anything dealing with the external architecture. The number one criterion? The overall impact that the change would have on the building and the immediate neighborhood. Oh, one more thing. The state got applications from more than 50 communities for these facade grants. Only three, including Marquette, were awarded the grants. How’s that for confidence in Marquette’s downtown? The new patisserie will be located a few doors down from Babycakes. Hope is on the way. 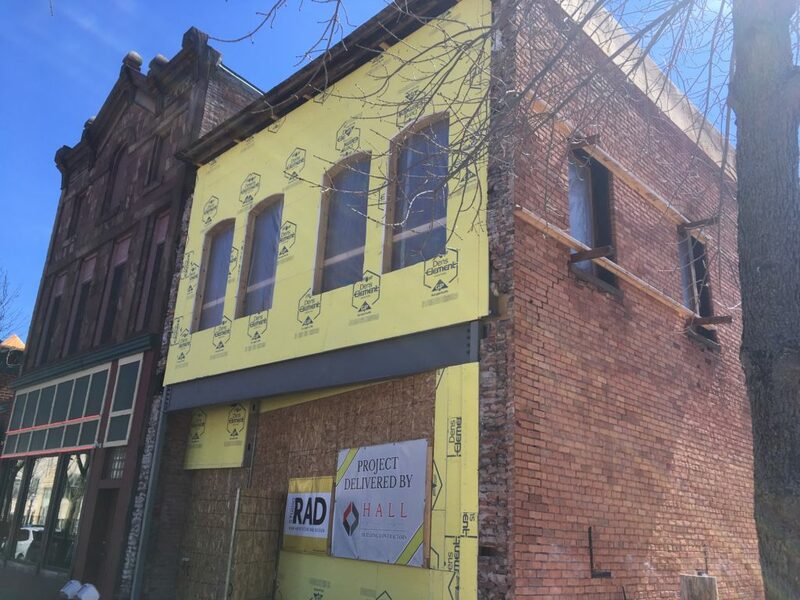 231 West, the new patisserie and coffee shop on West Washington, expects to finish construction and renovation in early June, and open before July 1st. Owner Matt Beardsley is hoping they’ll be able to pick up most of the tourist season. They’ve started the hiring process, with the expectation they’ll have 12-15 employees by opening. Plans currently call for them to be open seven days a week, 7 am to 9 pm, except for Sundays when hours will be reduced. Everything subject to change, of course. On the menu: soups, sandwiches, salads, pastries, and ummm…coffee. So that will bring us up to officially….973 coffee shops in town. Yellowbook has shrunk by more than 50% in two years. 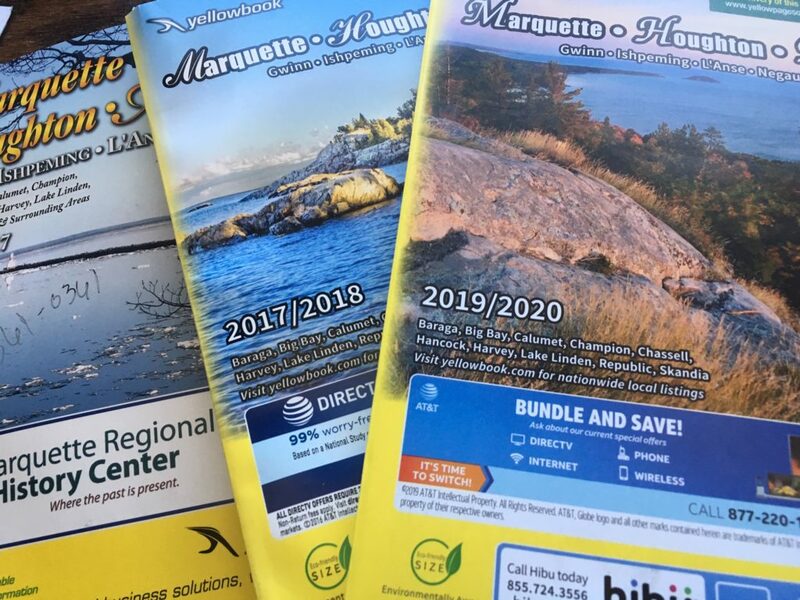 Have you seen the latest Marquette-Houghton-Munising Yellowbook? It’s shrinking before our very eyes..
Four years ago it contained 302 yellow pages and 142 white pages. Two years ago it was down to 266 and 130. This year’s edition? 180 and 28. Miniscule. The reasons are pretty obvious. Most of us use cell phones these days. We get our information about businesses off the Internet. And if we’re under thirty years of age, we have no idea what a Yellowbook is or why anyone would use it. The post drew criticism and an apology. A NEW BUSINESS. Sexual politics. Humor. Social media. That’s something Queen City Burger Company learned this week. A few days after they opened, they posted the above meme on their Facebook page. It was meant to be light-hearted but it was seen as a jab at the LGBT community. Not surprisingly, a firestorm on social media erupted. Queen City took the post down and apologized. But critics and defenders continued to weigh in. Then yesterday (Monday) Queen City took its Facebook site offline. Was the post thoughtless and needless? Sure. 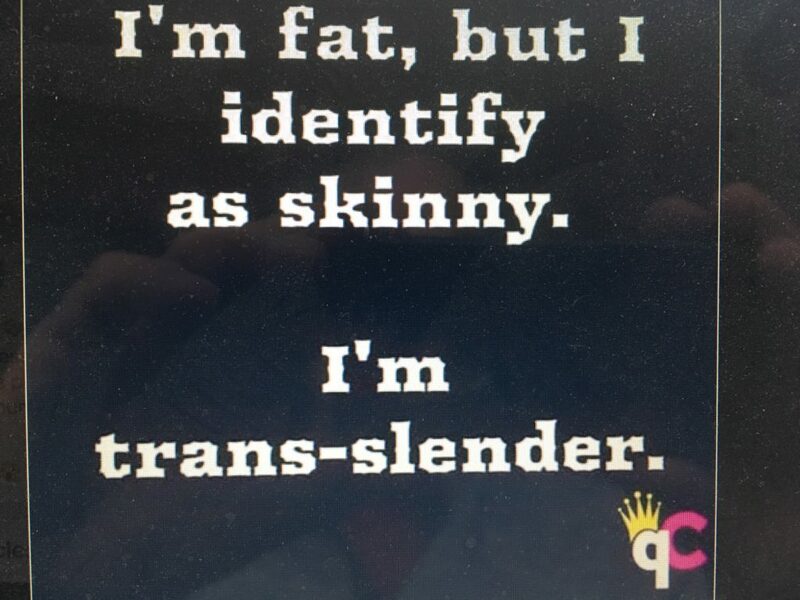 Are we overly sensitive these days? Hell, yeah. Always looking for something to be offended by? Many of us, yeah. Time to move on. Serve up the burgers and fries. And find some other faux-controversy to spend our time, energy, and words on.